We offer catering service. Special catering menu available. Please contact us for further details. 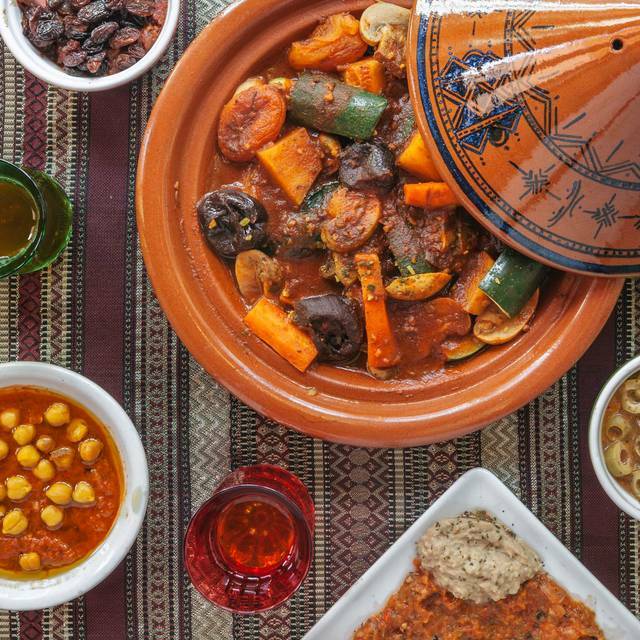 Right in the heart of Montreal, Menthe et Couscous is an unconventional Mediterranean, North African restaurant that serves up a variety of couscous and tajine recipes in a vibrant and fun atmosphere. 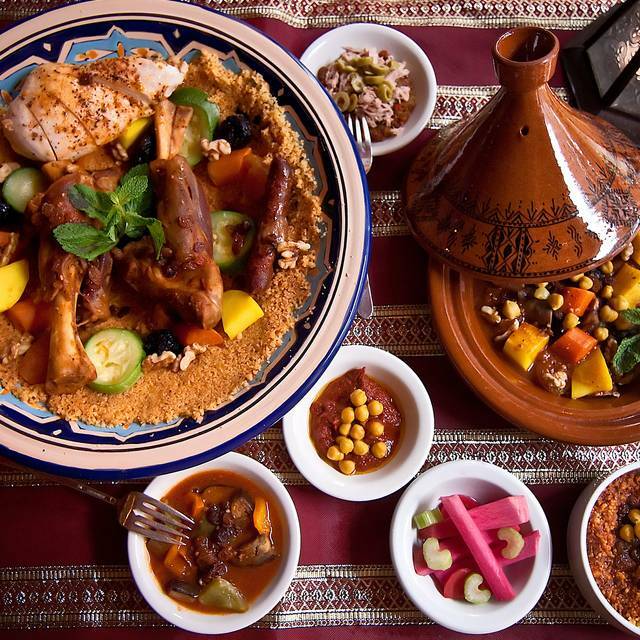 There is a BYOB policy at Menthe et Couscous so you can enjoy whatever beverages you'd like alongside the classic flavors of the continent. 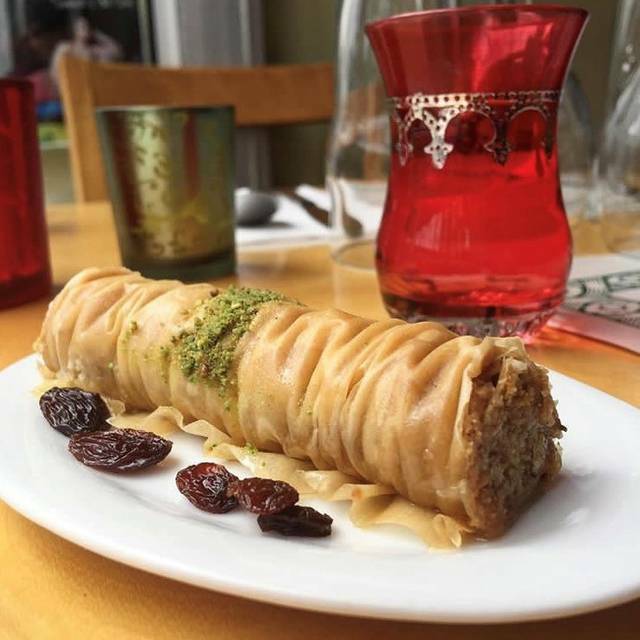 The dishes at Menthe et Couscous range from small to large and include plenty of options for vegetarians and non-vegetarians alike. 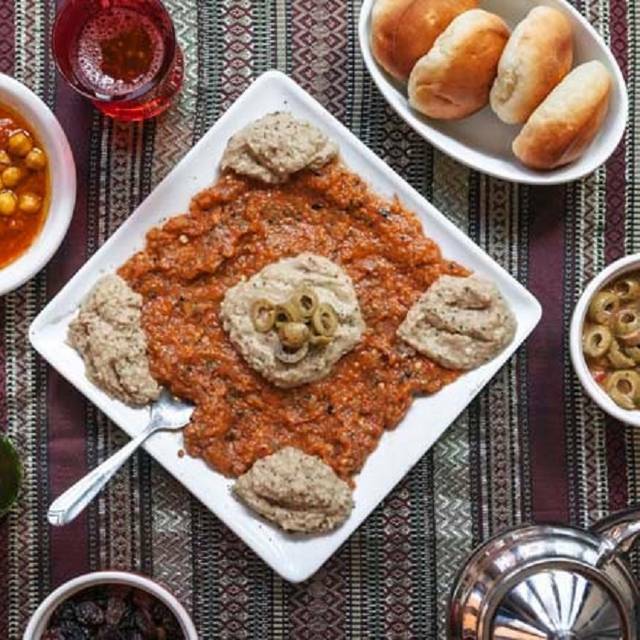 There are starters like wine dip served with bread, malsouka with spinach, Grilled vegetables tapenade served with tuna and moussaka. 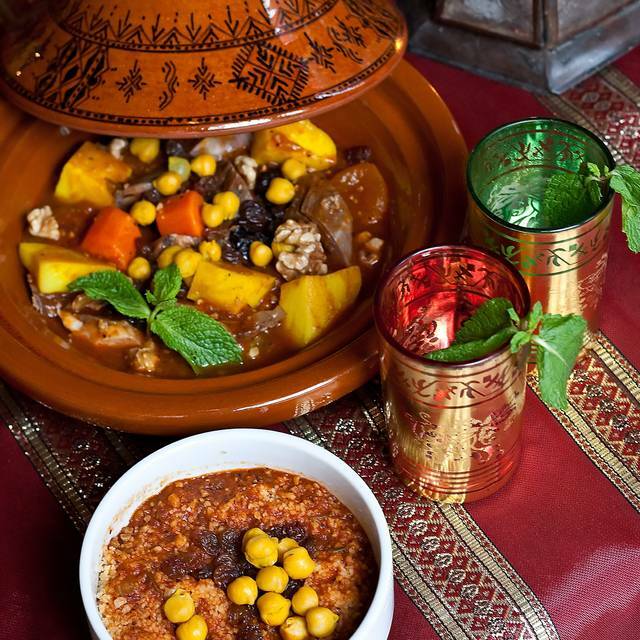 Larger dishes include couscous royal and lamb tajine served with a bowl of couscous. Made of Red onion, Colored peppers, Lettuce, Green Olive, Tuna and Dry Mint and seasoned with virgin olive oil and lemon, our House Salad is an explosion of freshness and flavours! Grilled and crushed vegetables, flavoured with mint leaf, tuna and virgin olive oil. 100% healthy! Crispy outside and tender inside, this is a tasty appetizer. Our Briks and Fatma's Fingers are offered in different flavours (nature, shrimps, tuna lamb or chicken). Coriander, cheese, one egg (Brik) without egg (Fatma Fingers) , mashed potatoes, green olives, coated with a fine crispy pastry. Watering it with some lemon juice enhances its flavours! Excellent food and service. Really liked their lamb couscous and their brik. Excellent service too. There was a show we didn't know about before and it was a great surprise ! Everybody in the restaurant was participating and ambiance was fantastic! Very nice restaurant. 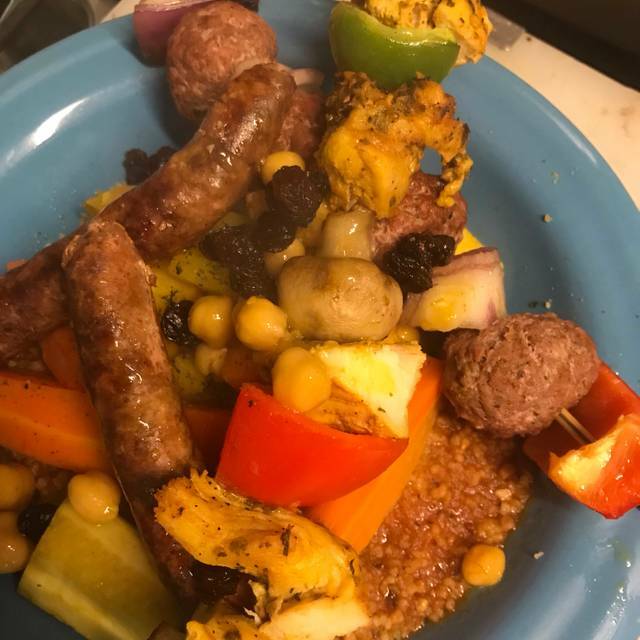 We had an amazing dinner with excellent lamb and couscous. Their soup is excellent. The service was really attentive and friendly. Very nice bellydance show and music. I recommend it and will come back with my friends. 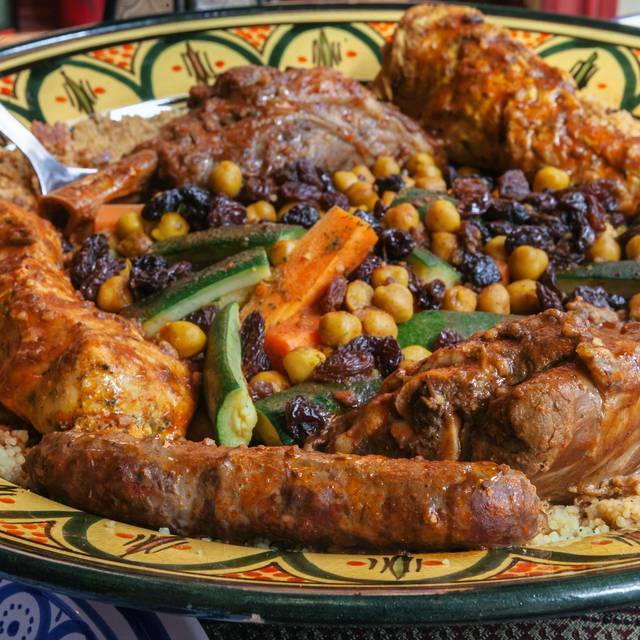 We had our Christmas party at Menthe et Couscous. There was the group menu with the belly dance show. Everything was perfect. It was a night to remember. Very dedicated friendly and professional staff. We highly recommend it for groups. Excellent food. Lamb shanks melt in your mouth. Great friendly and attentive service. Team seem to be a family, which makes the place cozy and warm. Highly recommended. This is our second time there. Really excellent in everything. 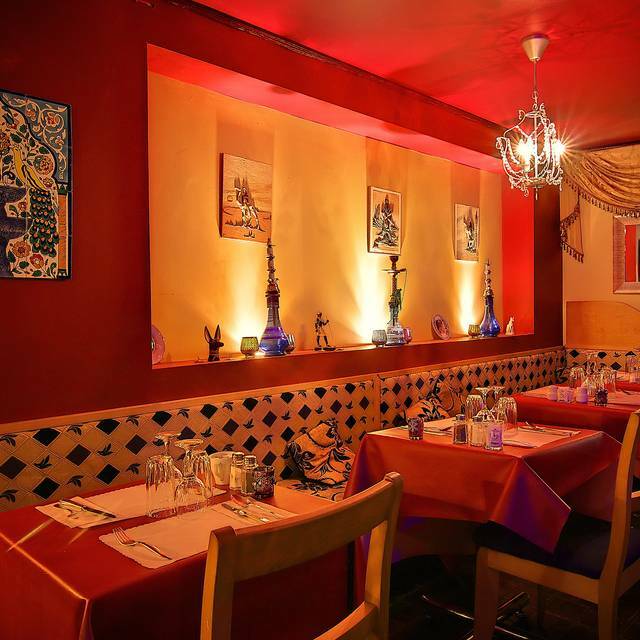 Very cozy small space restaurant with a warm ambiance and nice decor, excellent food and their lamb is just the right meat to eat, excellent attentive and friendly service, we felt like home. The seating all over is comfy. Excellent food. 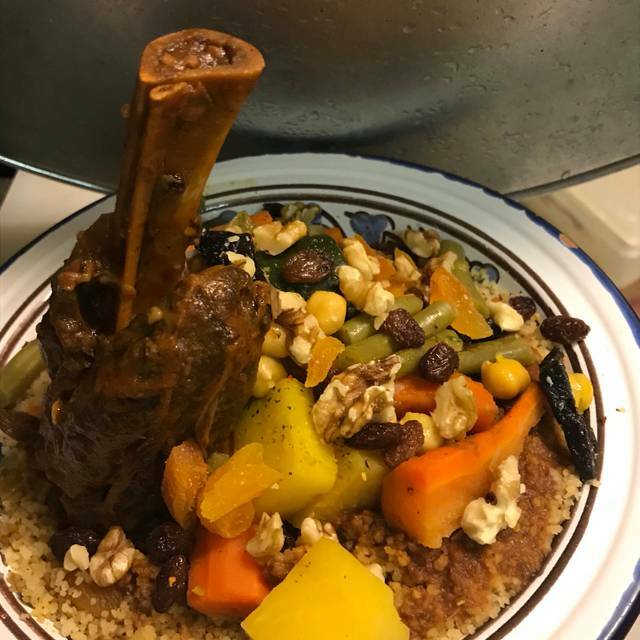 Lamb Couscous is my favorite. I also liked the grilled vegetables dip with tuna served with bread. Service is attentive and friendly. I highly recommend them.